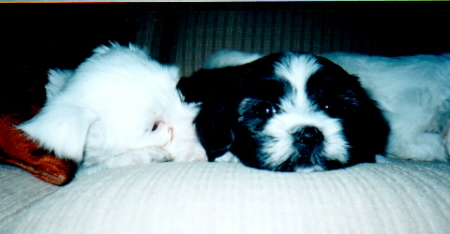 They are first puppies of my Danny. The mother of puppies is Bianca Falize (import from Slovakia from breeder Alena Fajerová). 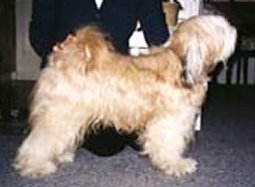 Bianca's father is a male from Finland Ch Serbalcierro Jaboncilo (white, black marks) and her mother CChangpal Sirdar CS (soble) is from czech breeder PhDr. Simona Jemelková. Both parents are HD - A/A a negativ PRA, LL a cataract. 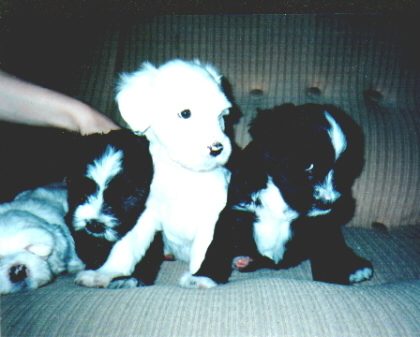 The puppies was born 30/3/2000 - 3 female and 4 male.